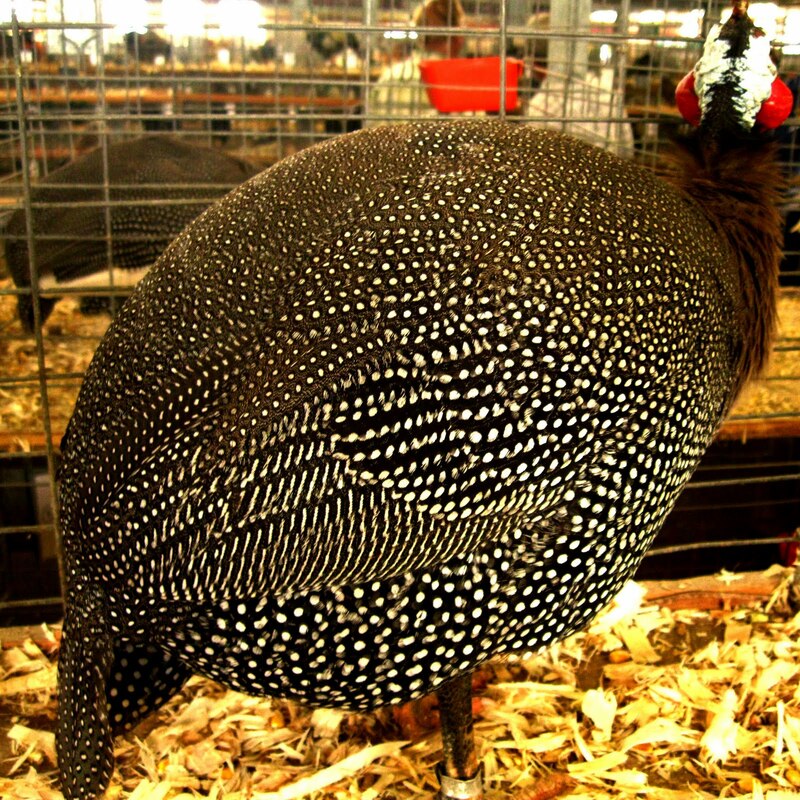 These two birds were easily the most glamorous things I saw last week at the New York State Fair in Syracuse, NY. There are entire halls dedicated to farm animals such as horses, cows, pigs, sheep, llamas and goats. My favorite was the bird hall with various chickens, pigeons, ducks and geese, and these two birds were my absolute favorites. I love this stylish rooster. Look at those black and white stripes, look at that red comb! 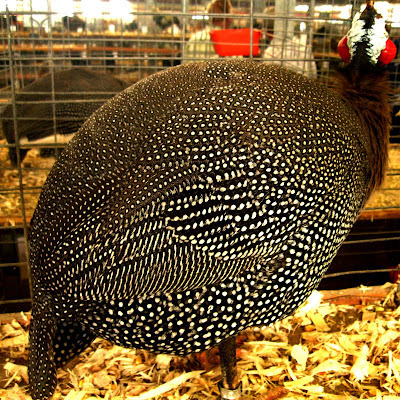 With dots being so hot for fall, this is one on-trend fowl. I actually envisioned a couple of potential outfits from the bird inspiration...you are right...they are fabulous! Ooooooooooo . . . And that it all goes with red is even better! I hope all your events are so much fun this week! I can't wait to hear about them! Those birds ARE gorgeous! The first one is seriously beautiful, and I am not kidding. Hi Catherine, I never think of myself as a red person, just little pops of it once in awhile, but I think the red comb on that rooster makes those black and white stripes sing! I will be reporting back here with details and pictures of all the events this week. Hi Vahni, I'm so excited to meet you tonight! And I can't wait to attend my first IFB Conference tomorrow. And that rooster was so gorgeous. He was for sale too, I heard someone say he was $20. What? Just 20 bucks? He was too beautiful to be sold for so little. Hi Terri! I want a chicken or rooster now. Can't you just see it, running around the living room of my Brooklyn brownstone apartment, amongst all the Legos and trains that litter the Oriental rug? It's too bad there is a local ordinance against you having a rooster in your yard. After seeing these birds I absolutely understand their appeal. Hi Marina, I want a chicken after seeing these beautiful birds! 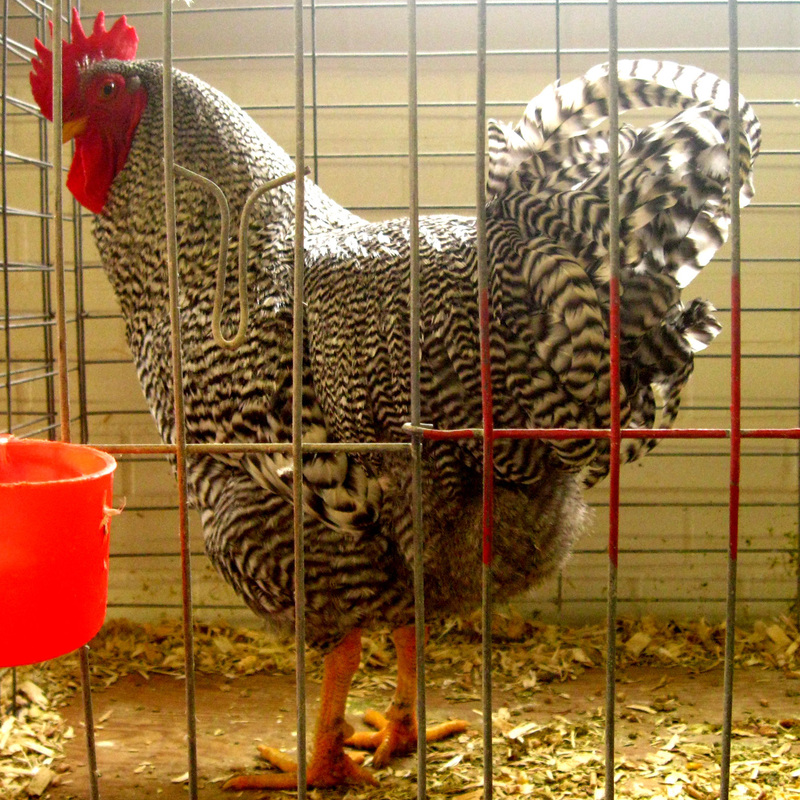 I actually knew someone who had a pet chicken, named Cluck-Cluck, who lived a long happy life, starting out in Arizona, and ending up in Queens, NY!